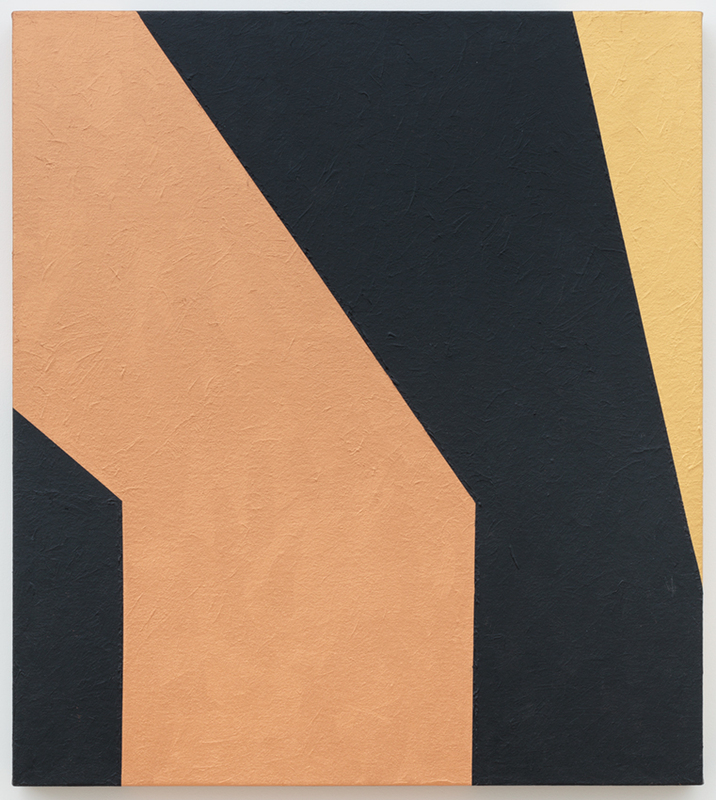 While most well-known for her 1970s large-scale, single hued canvases that feature curving lines, Virginia Jaramillo’s most recent body of work retains this strong sense of geometry, but rendered in metallic earth tones. For these paintings, Jaramillo chooses her color palette from the symbolic and mythological significance of ancient cultural sites — the title of each piece being a set of coordinates for the geographic location of her subject. In Site: No. 14, the coordinates point to the Dome of The Rock in Jerusalem. Unlike the slick surface of her past line paintings, Jaramillo builds the paint into a dense texture that pushes against the clean, hard-edged composition. Born in El Paso, Jaramillo was raised in Los Angeles, where her talent as a young painter garnered her acclaim and inclusion in the Los Angeles County Museum of Art’s annual exhibition from 1959–1961, under the gender-neutral name “V. Jaramillo.” After some time in Europe, Jaramillo moved to New York City in 1967, where she lives and works today. In 2017, her curvilinear paintings were included in two notable exhibitions looking at female artists of color: Tate Modern’s exhibition Soul of a Nation: Art in the Age of Black Power, and the Brooklyn Museum’s We Wanted a Revolution: Black Radical Women 1965–85.